The 1091 is a heavy duty latch (IP65) that is particularly suitable for machine guards, machine tools, generators, ovens, test cabinets etc. 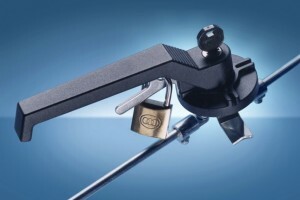 These types of cabinet in particular can have significant internal pressure, requiring considerable leverage on the latch handle for satisfactory closure – the 1091 provides this by virtue of it’s engineering quality and ergonomic design – it also has padlockable and key lockable facilities. Share the post "We get heavy with IP65 latching………"
Next post: We like sealing profiles – and so do our customers!